Cyrus Radfar is the founding partner at V1 Worldwide. If you were given a penny for every minute people spent commuting in an average year, you’d have a stack that was 1,433,400 miles high. That’s enough to stretch to the moon and back three times. In terms of air-travel, US-based businesses spend more on it than any other employee expense. This works out at over $21 billion a year for Fortune 500 companies alone. 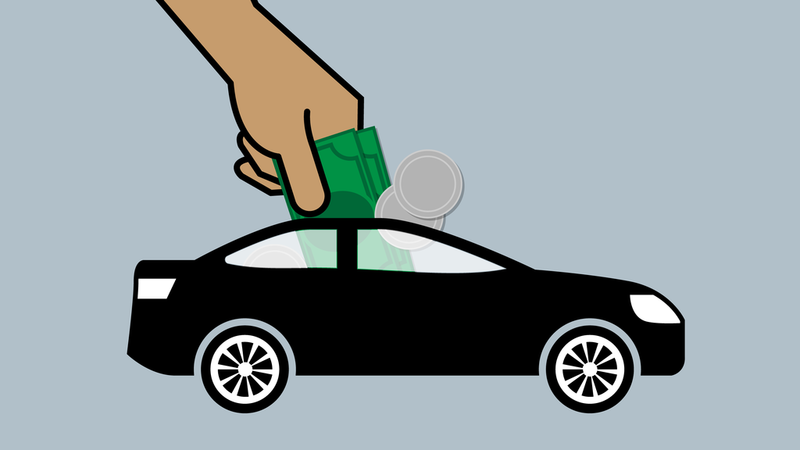 As for the average American household, they spend $9,004 on transportation per year. In some locales, this is enough cash for a down payment on a three-bedroom house that will rent for twice your mortgage payment. To all the New Yorkers and San Franciscans reading, this is where you can take a moment to stop hyperventilating. Technology is continuously reshaping our relationship with travel, and that change is accelerating to another inflection point. Advances in transportation technology reshape our lives and cities, and how and where we all settle. And American history guides us on what’s to come. The introduction of the railroad in the United States was one of the most important phenomena in the country’s short history. With their construction came new industry, towns, and cities in areas that were previously wild, barren and uninhabited. Commercial flight innovation was the next step forward, quickening travel and further lessening the geographical divides of the country. And, in the 1950s, the Interstate Highway System allowed the quick and cheap transportation of goods between suburban and rural areas, benefiting farmers and consumers. Rapid international travel gave rise to globalization which made the world small enough that a grocery store in Pittsburgh, Pennsylvania could be selling Mexican-grown produce. Each of these surges in transport technology created millions of new jobs, injected the equivalent of trillions of dollars into the economy, and changed the way people view time and space. We are on the verge of a new leap forward. Shervin Pishevar, co-founder of Hyperloop One, saw the opportunity and assembled a team which is poised to have the first at-scale system in place before 2020. The concept of Hyperloop was dreamed up by futurists over 100 years ago, but thanks to Musk’s creativity and Pishevar’s execution, the idea has gone from a quasi-sci-fi imagining to a near-reality. Hyperloop isn’t the only disruptive innovation set to change the way we view travel forever. Autonomous car technology is another idea that’s existed in the collective imagination since the early 20th century. It has also recently taken huge strides forward and is predicted to be a major form of transport within five years. Toyota, Ford, Mercedes, BMW, Tesla, Nvidia and Google are among a myriad of companies pursuing the concept of driverless car technology; to date, five states allow the testing of fully autonomous cars on public roads; and in August of this year, Singapore launched the world’s first self-driving taxi service. 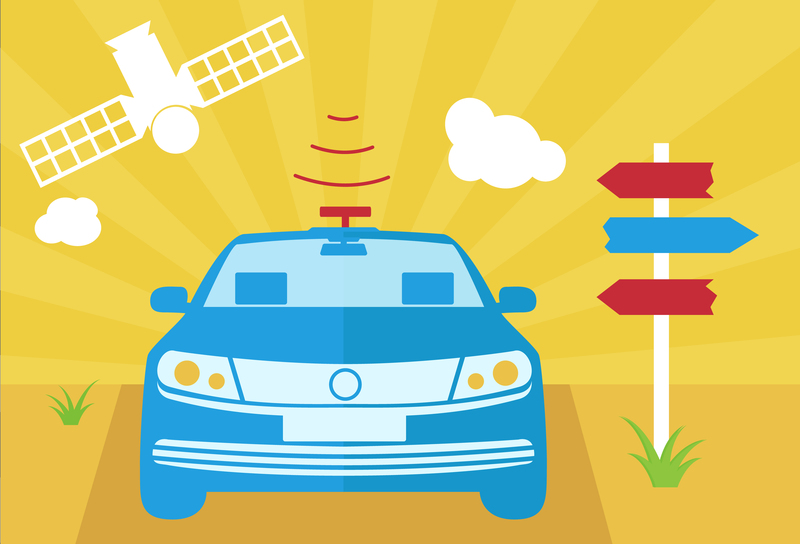 A future of autonomous cars is has from a possibility to an inevitability. Like the transportation leaps before them, Hyperloop and autonomous cars will change the lives of millions and eventually billions. They will create wealth, jobs, industry and much more. Perhaps the most exciting opportunities that will come with these new modes of transport will be those that we can’t even envision yet. However, as with all disruptive innovations, there are large pockets of dissent. But to what extent are these objections based on fact rather than fear? And can they outweigh the opportunities that these new technologies will bring? The biggest question mark outside of government regulation currently hanging over autonomous cars concerns safety and reliability. There is a worry that they’re unable to follow traffic laws, unreliable in bad weather and generally unpredictable. And the recent string of accidents involving driverless cars has only exacerbated these concerns. Let’s be clear that driverless cars have a far better driving record than we do – Tesla autonomous cars alone have driven over 222 million miles with just one fatality. Compare this to the fact that human-driven vehicles result in one fatality per 94 million miles, and it’s easy to see why so many experts are suggesting that the advent of driverless cars will bring with it safer roads and fewer accidents. According to a survey by the US Department of Transportation, 94 percent of road accidents are caused by human error, and in tests the safety of autonomous vehicles has met and surpassed all standards. The Virginia Tech Transport Institute has released a study with statistics that suggest driverless cars are safer than their human-operated counterparts.As of 2016, Google’s driverless car, Waymo, traveled 2M miles; at an average speed (estimated by CNET) of 30mph, this equals: 66,667 hours or 7.6 years With all that road behind it, there hasn’t been one major accident. With regards to the recent accidents, it has been shown that these were caused by other human drivers on the roads, rather than the machines themselves. Of course, with major change often comes suspicion. But the bulk of evidence points to a future where the dangers of driving are void if we embrace the coming of autonomous transport. Similar concerns over safety were prevalent with the introduction of the railroads. It seems strange now, but the advent of the new form of high-speed travel in the 19th century was considered unnatural and at odds with the status-quo. The railroads also brought dissent from the existing transport industries. Coachmen worried that their jobs would be displaced by the new, more efficient, cost-effective mode of travel. This is a fear that’s been raised regarding the prospects of both Hyperloop and autonomous cars. It’s estimated that 10% of all jobs in America are driver-related. So, to what extent will these new modes of transport encroach upon the careers of millions? In short, the answer is, not much. Of course, the industry will change. New routes will be created and the role of the driver is likely to change. But out of that a surge, new industries and careers will be born. It’s fair to say that many transport routes currently used by truckers can be replaced by Hyperloop. Like the railroads that came before, Hyperloop will offer the cheaper and quicker transportation of goods over long distances. This will transform supply chain economics and shrink lead times across the manufacturing eco-system. However, this doesn’t paint the whole picture. Cargo will still need to be transported from the Hyperloop station to its final destination. This is called the “Last Mile” problem. And this role will still be performed on the road by human drivers and, in for small items, via flying and driving drones. In fact, if we accept that Hyperloop routes will replace freight carried by air, then this will mean more cargo carried terrestrially, and therefore an influx of opportunity for the trucking industry. [The] market will prefer the more comfortable offerings that will be created and include an operator. The fear that driverless trucks will take away jobs is also unfounded. 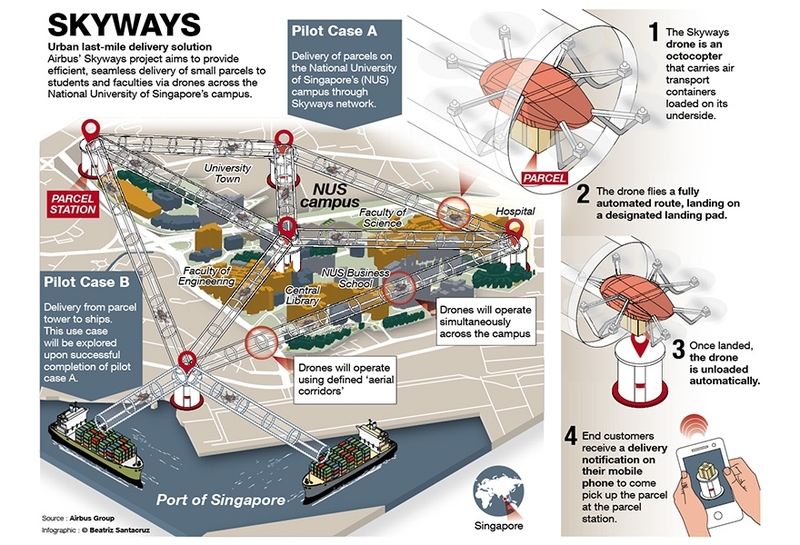 Human operators will still be required to manage cargo, maintain security and, for local deliveries, they may increase efficiency by executing assembly on-the-go. As for the arrival of autonomous cars, the concern is that Uber, Lyft and cab drivers will be left by the wayside in favor of machine-driven vehicles. Again, this aspersion doesn’t exactly stand up to the reality of how the transition would likely happen. As with the future of the trucking, the passenger-service industry is likely to be disrupted, but it’s unlikely to immediately threaten jobs, if ever at all. Like driverless trucks, autonomous cabs will, for various reasons including insurance, still require a human operator, meaning that the jobs currently held by drivers will simply change rather than be removed entirely. That’s not to say there won’t be some low-cost point-to-point autonomous transport. I’m saying the market will prefer the more comfortable offerings that will be created and include an operator. And this change will not only maintain existing jobs and strengthen the passenger-service industry, but it will create an entirely new economy altogether. in Singapore and Boston), the role of drivers in autonomous cars will become more customer-centric. This means focusing on customer care and satisfaction, which in turn means an incredible expansion for the entire industry. With fewer people traveling in their own vehicles and an influx of passenger travel, there will be fresh opportunities for businesses to reimagine the mobile service industry entirely. Train companies and airlines have been profiting from this for years, selling goods and premium experiences to passengers to boost sales and improve the customer experience. Autonomous vehicles will take this industry to the next level, and open it up to a myriad of new entrepreneurs and small businesses. Coffee shops, movie theatres, massages, medical care, legal services, food, and your neighborhood pub may all be summonable to you and your friends. This service could go much further than simply offering snacks and refreshments. 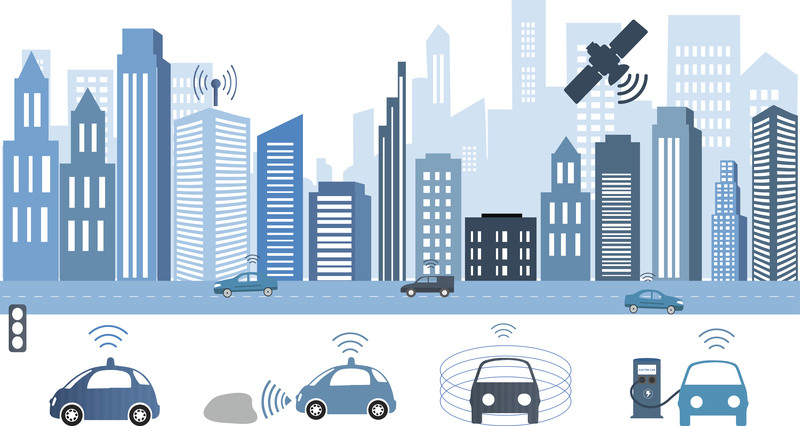 For a start, the increased size and space that will come with autonomous vehicles will allow for multiple-levels of luxury, and many service-based businesses could adapt to accommodate both the new modes of transport and the growing number of people who will be traveling longer distances by terrestrial means. Consider the transformation of our cities small businesses to a mobile context. Coffee shops, movie theatres, massages, medical care, legal services, food, and your neighborhood pub may all be summonable to you and your friends. For those who recall the “app explosion” of the late 2000s, we should see another transport service proliferation in the coming years. Clearly, it’s not just the likes of Tesla and Google who would profit from a rise in these forms of travel. It would provide businesses with the opportunity to adapt their products and services to an entirely new, lower fixed-cost context. Beyond the direct wealth that will come with Hyperloop and autonomous car technology, there are other resources that will become more plentiful with the rise of these new forms of travel. In 2014, Americans alone spent 29.6 billion hours commuting. That works out to be 106 hours per year for the average commuter. Currently, this is time most spend at the wheel of a car or crammed into an overfilled train. With the advent of this new travel, not only would commuting time be cut, but it would generally be more luxurious with the passengers free to spend the time as they wish. This freed-up time could be spent however the passenger liked: working, in meetings or simply for leisure or connecting with loved ones. In terms of economy, this time would be worth a fortune. According to an independent economic analysis of the effects the autonomous car could have in Europe, 0.16 cents will be added to the continent’s annual growth rate, equating to nearly $18 trillion by 2050. However, let’s not just consider the financial benefits that this new commute would have. There have been many studies done into the impact that commuting has on a person’s well-being, health and happiness. Those who commute on a regular basis have been shown to exhibit higher levels of stress and anxiety, and those with the longest commutes have the lowest overall satisfaction with life. More than anything though, less time spent commuting, or time spent commuting in more agreeable surroundings, would give people more options. And with this would come more possibility for everyone. Benefits that would come from the new mobile economy and the shift in how we commute would likely lead to a major increase in terrestrial travel. This would move passengers away from short-distance domestic flights towards autonomous vehicle alternatives. According to travel expert, Jim Loomis, “a large number of flights in and out of most of the major hub cities are to and from cities less than 400 miles away.” This includes 30-40 percent of arriving flights from Chicago’s O’Hare Airport. Judging by the comparative speeds of short-haul air travel and Hyperloop, many of the passengers of these flights would be drawn to terrestrial travel alternatives. 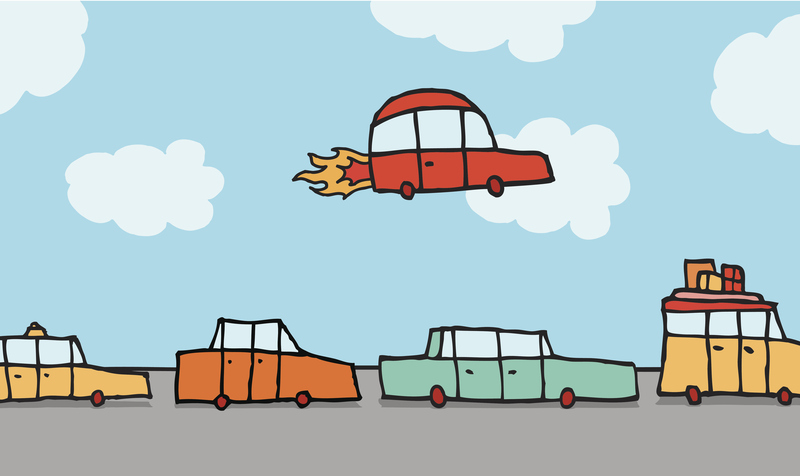 The convenience of driverless cars would be far superior to that of airlines. Neither mode of transport would be as sensitive to extreme weather conditions, resulting in fewer cancellations and delays, and the flexible schedules would allow passengers to travel at their own leisure. Driverless cars would be summoned directly and transport passengers door-to-door, drastically improving passenger flexibility. The convenience of driverless cars would be far superior to that of airlines. Neither mode of transport would be as sensitive to extreme weather conditions, resulting in fewer cancellations and delays, and the flexible schedules would allow passengers to travel at their own leisure. The new possibilities of luxury would also play a part in luring passengers away from airline travel. As we discussed when looking at the new mobile service economy, driverless cars would bring new levels of passenger comfort, greatly surpassing those of airlines. As we all know, the Wifi and Internet of airlines is notoriously poor and expensive; this is something that certainly won’t be a problem for the new modes of terrestrial travel, particularly seeing as autonomous cars are likely to use onboard wifi technology. But also, the increase in onboard space compared to that of airplanes would be another game-changer. Audi’s senior strategist, Sven Schuwirth, has already proposed shape-shifting interiors for driverless cars, meaning that their function could change depending on the type of journey and the passengers’ needs. This would allow groups of friends or business colleagues to travel together, spending leisure time or continuing their work on the road. All of this is bad news for airlines, particularly those that specialize in short-distance flights. However, as we’re about to see, the environmental effects of this passenger shift will have a hugely positive impact on all of us. Not only would an influx in terrestrial travel be more environmentally-friendly than airplane travel, both driverless cars and Hyperloop will provide sustainable, green energy across the board. Let’s first consider autonomous cars. They will be a greener alternative than our current manual vehicles. For a start, it’s likely that many driverless cars will be electric or will at least be hybrids. GM, Tesla and Google are among many companies making this push. But also, autonomous vehicles will mean more carpooling and therefore less congestion and traffic on the roads. The machine-driven vehicles will also result in more efficient driving as they will use energy-optimizing controls to reduce emissions. Moreover, in as recently as 2013, a UK study showed that drivers spent upwards of 6 minutes and 45 seconds to find a parking space. Reducing or removing that time circling neighborhoods looking for spots will remove a major cause of traffic for city roads. Hyperloop, too, will be a major tool in the fight against climate change. Musk believes it’s possible to mount the tubes with solar panels meaning that, in terms of energy, the transportation system will be almost entirely green and sustainable. The new transportation mediums also have the potential to positively disrupt our very notion of urban living, affecting the use of city space and satellite towns. Currently, parking in the US alone uses 1,713 square miles – that’s nearly six times the size of New York City. In LA, parking space takes up 14% of incorporated land. The transportation transformation would drive this figure down.. Fewer people would own private vehicles, and driverless cars would be more efficiently stored in company lots on the outskirts or below cities. In a time when city space is more valuable than ever, it’s not hard to imagine the benefits that would come from freeing up this space. This land could be repurposed as green space, parks, housing or new commercial centers. All this infrastructure work would create jobs. The new modes of transport won’t just be beneficial for larger cities and their inhabitants. The new commuting paradigm created by Hyperloop and driverless cars will enrich rural areas and even create new urban centers in the same way that the Interstate Highway System did before. For example, it may be possible to work in San Francisco and live in a suburb of Reno, Nevada. Over the past decade, the Washington DC Metro has been extending further into Mclean and Tyson’s Virginia. As it moves outwards, like veins from the heart, the metro line feeds new regions wealth as people move to the more affordable, less densely populated, stops down the line. The Hyperloop will have a similar pattern of impact at a greater scale. It can extend the reach of a city hundreds of miles. Hyperloop should accelerate the transport of goods. It will connect warehouses to major cities for same day delivery. You could imagine them feeding the cities like an artery. As a byproduct, everywhere they connect they’ll allow people to live at drastically lower cost while still being able to commute to the city center quickly. More and more people will have the option of living in satellite towns and traveling to major conurbations for work. The Hyperloop stations that will allow for this new commute will bring with them wealth and industry, which as we’re about to see could do far more than just create jobs for millions of people. The growing divide between urban and rural areas has been well-publicized in recent months, not just in America but across the globe. The surprising result of Trump’s recent election and the British referendum on Europe are thought to be caused by this fragmentation of society. It has seen an increasing disconnect between left and right political factions. While bigger cities have continued to thrive in recent years, smaller rural areas have struggled due to a lack of new industry and wealth. That begs the question, is it possible that new transport could be the answer to our split societies? It’s not a panacea but it will surely extend the coastal wealth’s reach inland. Their arrival could create the same effect that has been felt with each historical surge in transportation. Globally, new towns and cities were created thanks to the success of the railroad, airports and highways, and existing areas began to flourish. We only have to look in America to see the amount of wealth and opportunity that came with the Transcontinental railroad; huge numbers of businesses were created and thrived; information and knowledge spread with greater ease; a new country recovering from civil war was brought together. By pushing forward with the new modes of transport, we are likely to see a similar progression in society in the years to come. Perhaps the most exciting prospect of Hyperloop and autonomous cars is the many open doors that we’ll get to explore. Here, we’ve discussed how these innovations will bring wealth, create new industries, allow more time to innovate, connect with the people they love, decrease carbon emissions and free up thousands of square miles of space; but we’re just beginning to scratch the surface. Other benefits include easier mobility for those who can’t drive, less congestion, and the jobs that these burgeoning modes of transport have already created. More than anything though, by embracing the coming innovations in transportation, we open ourselves up to new worlds of opportunity. By introducing this technology to billions of people worldwide, we invite new applications and innovations previously thought unimaginable. 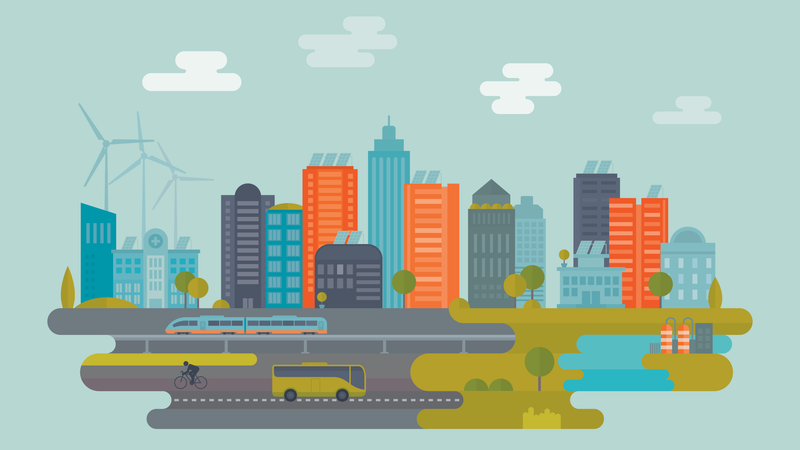 We’ve seen a major change in how we move every half century since the Industrial Revolution. Every shift was preceded by fear and resulted in a brave new world of possibility. We can’t know what’s to come but I choose to be hopeful. I choose to believe it’s possible to see a light around the next corner shining a future where we are more connected and comfortable.